These are my two latest cozy mystery reads. 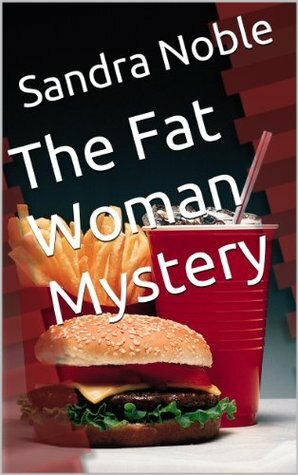 I got The Fat Woman Mystery on my Kindle for $2.99 after seeing it advertised. I enjoyed it, especially the realistic discussion of the differences between the casual dieter, 10 to 20 pounds to lose, and the life long dieter with serious issues with food in the obese to morbidly obese category. The main character, Margaret, is very likable and easy to relate to, at least for me. She doesn’t want pity or sympathy from her friends, other members of her diet club, as she deals with the death of her husband. She is in a not so small case of denial about her grief. The mystery was interesting and tied together lots of pieces very nicely. My first issue with this is that I found that the book seemed short, either that or it was a very quick read. The second is that I found the theme really similar to another series that I really, really love by JB Stanley AKA Ellery Adams, the Supper Club Mysteries. I couldn’t help compare the two, with the Supper Club Mysteries coming out on top as far as character development and richness of setting and story line. 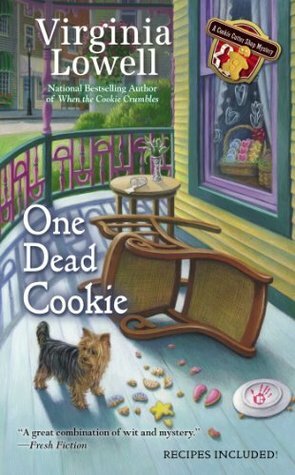 One Dead Cookie is the fourth book in a Cookie Cutter Shop Mystery. I really enjoy this series. The main character, Olivia owns the shop and lives above it with her dog. She is busy dealing with baking for her best friend Maddie’s engagement party. The party gets wilder when a B list celebrity arrives and the murder occurs. The murder is connected to people who stayed in the area and to an old unsolved crime. On top of the murder, there are other smaller crimes occurring muddying the waters. I really do enjoy this series, but I will say this was not my favorite it it so far. I am looking forward to reading the next one nonetheless.